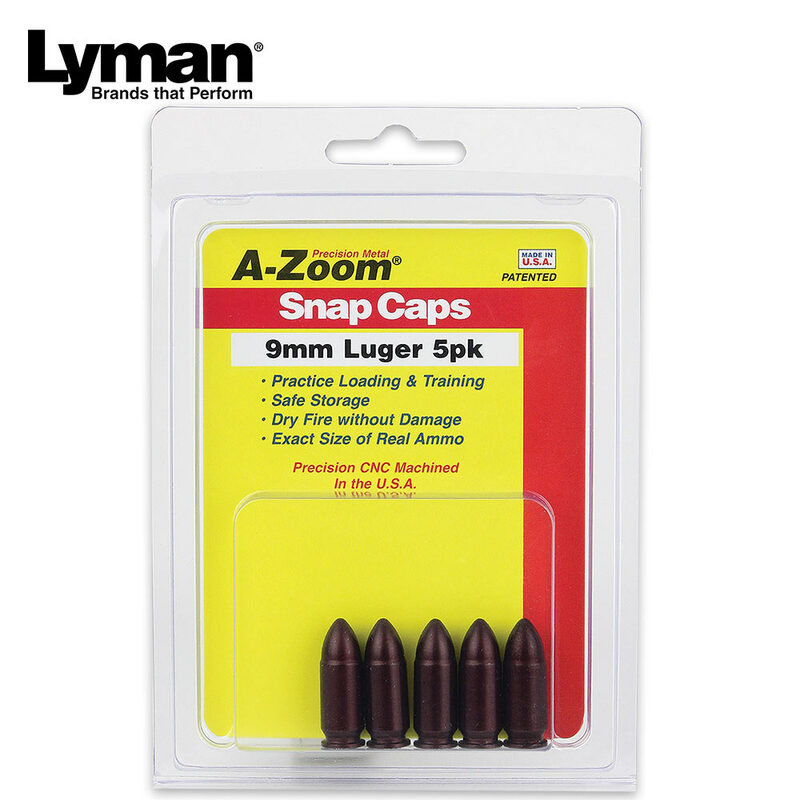 01 LY1163 A-Zoom 9MM Snap Caps | BUDK.com - Knives & Swords At The Lowest Prices! 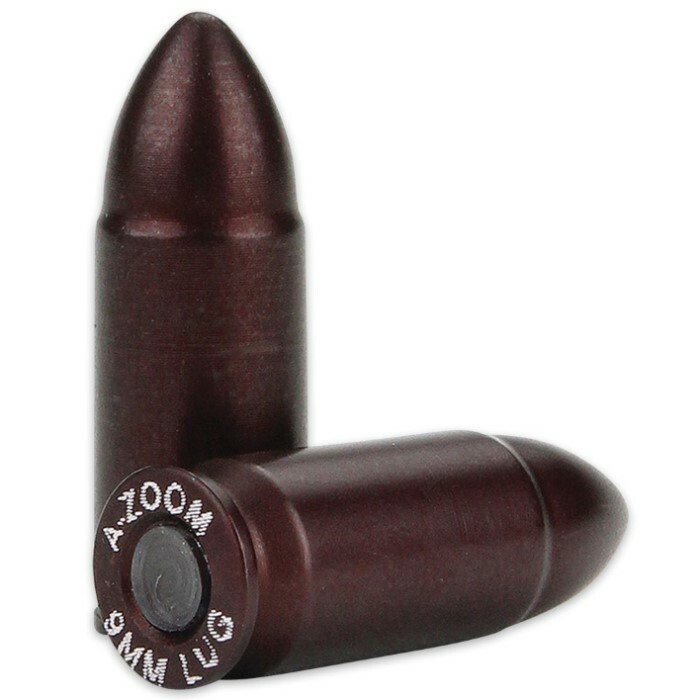 A-Zoom training rounds are much more than conventional snap-caps! They are precision CNC machined from solid aluminum to precise cartridge dimensions, then hard anodized for ultra-smooth functioning and long life. They are a great choice for safe function testing, magazine changing, drills and dry firing practice. 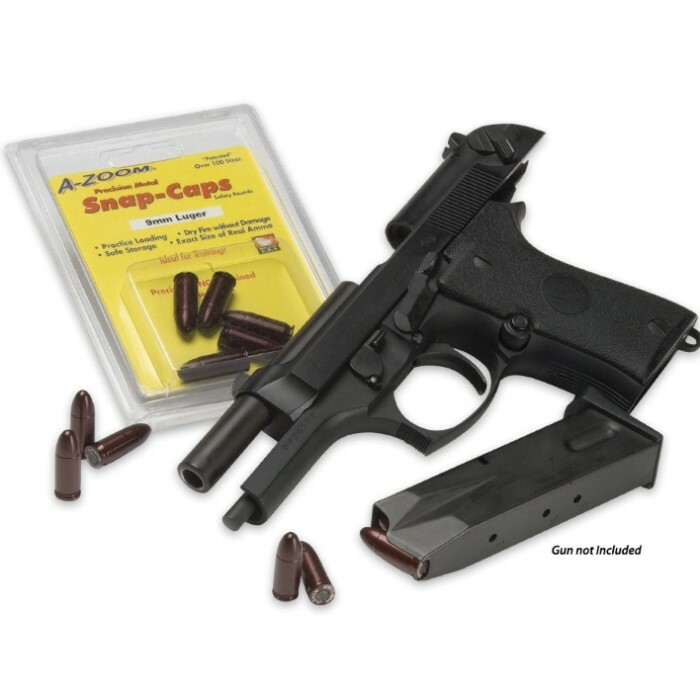 These pistol snap caps are not only perfect for cycling, but also for teaching safe handling.